There is an increasing need these days for gluten-free recipes. Often, this is due to allergies, some of which can cause a severely dangerous reaction. However, many simply choose gluten-free products for health reasons, or because they feel better suited to this way of eating. 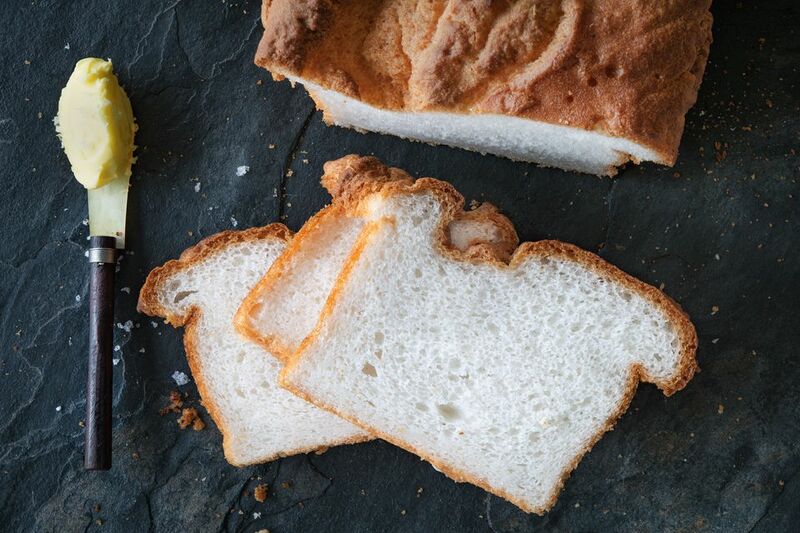 Whatever the reason, it has never been easier to make your own low-carb bread at home. This recipe is incredibly simple. Since there's no gluten, it's not necessary to knead the dough, which makes the whole process so much faster and easier. The flour used is a commercially available gluten-free flour with high-protein grains; egg whites and yeast help give the loaf rise. The result is a delicious tasting and versatile bread guaranteed to please. Gather the ingredients. Lightly oil a 2-pound loaf pan and set it aside. In a large roomy baking bowl, whisk together the egg whites until lightly foaming. Add the vinegar, sugar, salt, and 3 tablespoons of the oil and whisk again. Add the water and whisk until incorporated. Sift the gluten-free flour into the egg white mixture, then sprinkle over the yeast and whisk thoroughly until you have a thick, smooth batter. Add the remaining 3 tablespoons of oil and use a wooden spoon to turn the mixture several times to create a sticky dough. Gently tip the bowl over the loaf pan and let the dough slide in. Scrape down and left in the bowl, then tap the pan sharply onto the work surface to help the dough settle. This will also help to remove any large air bubbles. Cover with lightly-oiled plastic wrap and leave in a warm, draft-free place to rise. This will take about an hour, but could be even longer; the dough is sufficiently risen when it reaches the top of the tin. Remove the plastic wrap and bake the loaf in the center of the oven for 1 hour. The loaf will have a golden brown crust and be well risen above the pan. Leave the loaf in the pan for 10 minutes, remove, and leave to cool completely on a cooling rack. When preparing gluten free bread for those with allergies and not just a dietary choice, always double check your flour. It's also important to make sure that there are no other products containing gluten where you are baking and it's preferable to use a baking pan kept specifically for gluten-free use. There are many types of gluten-free flours now widely available, including millet, sorghum, soy, brown rice, and quinoa, so buying a commercially produced flour is now easier than ever. These grains all have a high protein content which ensures a good structure and flavor to your bread. The lowest protein will be rice flour and this will need added proteins such as xanthan gum. Different grains will, of course, bring different flavors and you can experiment with the tastes you like. You can also make your own gluten-free flour blend.